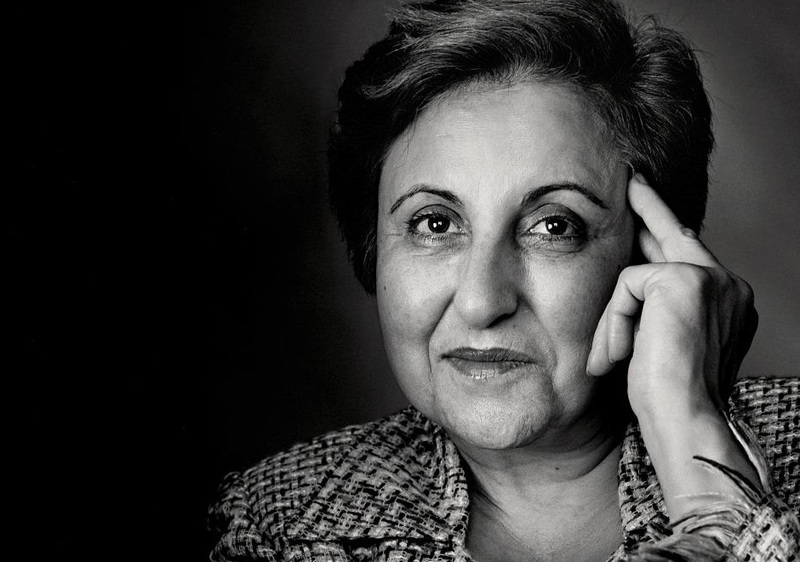 Shirin Ebadi, 2003 Nobel Peace Prize winner, is an inspiration of staying in the struggle for the long haul. Unlike 4-5 million other Iranians, she stayed put in the Islamic republic and worked from within to offer humane resistance to the religious fundamentalism that would deprive her of her own career as a judge. She is both a strong feminist, using her lawyer skills to advocate for women in a system that sees them as merely half the value of men, and she is also a faithful Muslim, although one different than those Khomeini wanted to hold up as a role model for women. She is also a dissident, who was willing to take strong stands, oppose the Republic’s interpretations (not defame it), did jail time, was on a death list, raised her daughters, did the proverbial twice as much work as the man, and stayed put. The authorities weren’t going to drive her away.